This weeks giveaway is brought to you by royal design studios. modern to Moroccan, to allover and ceiling stencils. To enter simply visit royal design studios and leave me a comment here telling me which stencil you like the best. For another entry, like royal design studios on facebook. For a third entry, follow them on twitter. And finally, for another chance to win, follow royal design studios on pinterest. That's 4 chances to win! Make sure you leave a separate comment for each entry, and pls. include your email address! I love the Casablanca Trellis. It would be awesome in my living room! The Large Fabric Damask is my favorite - I don't know why I haven't ordered it already! Thanks for the giveaway (and the reminder!). I love their "Tailfeather all over" pattern, but really they are all beautiful! I love all of their Damask stencils. 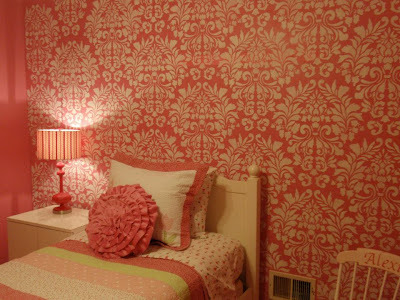 I would love one for my bedroom which is Damask themed. Luv the ribbon stencil as well as any of the beautiful damask prints! Thanks for the opportunity, I have just the project in mind! They are all so pretty! I think it is a tie between the French words and the Japanese flower. Oh my gosh...I'd have a hard time picking a favorite. Think it would have to be either Fabric Damask or Florentine Damask. Thanks for the chance to win! I love this website - especially because my husband says no to wallpaper. But he never said no to stencils! I love the large peacock fancy - perfect for a bathroom or accent wall. I love the Casablanca Trellis! My favorite is the Endless Circle Lattice. Perfect for my living room! Love the damasks! Great giveaway! Following Royal Design on Pinterest too! Already like them on FaceBook. Melaine I love Royal Studios. When I lived in San Diego I took some classes there!! The Vintage Cherry Blossoms would be my choice! I Follow Melanie on Twitter! I Like Royal Studios on Facebook also! Thanks for a great Giveaway Melaine! The casablanca trellis is my favorite. My entry wall is dying for this treatment! I liked RDS on Facebook! I am in love with stencils! 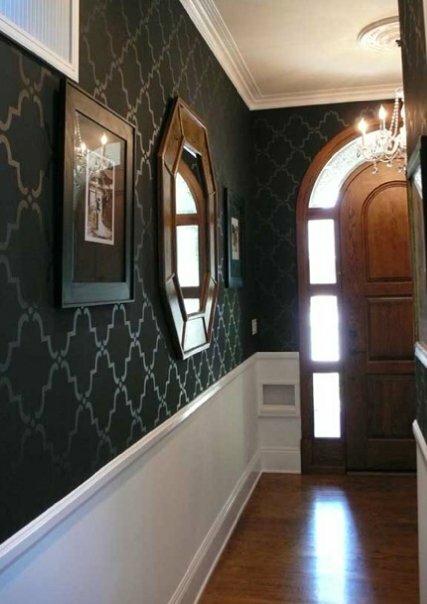 I love the Encantada Damask, but any would be gorgeous! Our house is on the market right now, but as soon as we sell and get the new house, look out, there is going to be some stenciling going on! This one caught my eye: ornamental cartouche. Moorish Trellis Large! I'm getting ready to stencil my dining room, and that one would rock! loving the Granada Border and the Grand Damask stencil. I love the Moorish trellis. So elegant. hard for me to choose. perhaps the encada damask (I forget how they spell it!! Wow. It's so hard to choose- I literally have 20 favorites... I guess the Lisboa Tile Allover is my favorite favorite. Love stencils! I like the donatella damask allover stencil. I love the fabric damask. Thanks for sharing this site, I need a new project. Wow - this would be a tough decision, they have a lot of beautiful stencils. I really like the Indian Floral. It would look so nice in my bathroom!!! I would love to use the Tiger Stripes stencil in my daughter's room! I LOVE THE CASABLANCA TRELLIS DESIGN. THANKS FOR THE FUN! I love Circling Elements, how fun! Oh my! Those stencils are lovely! I would love to win one of those! I love the Donatella Demask! I also loved the Springtime in Paris! I never thought I'd love stencils so much! They look amazing. I think the large nova trellis is my fav. They definitely have my creative juices flowing! What can I stencil?! I love the Large Wall Stencil Eastern Lattice , so many to choose from. 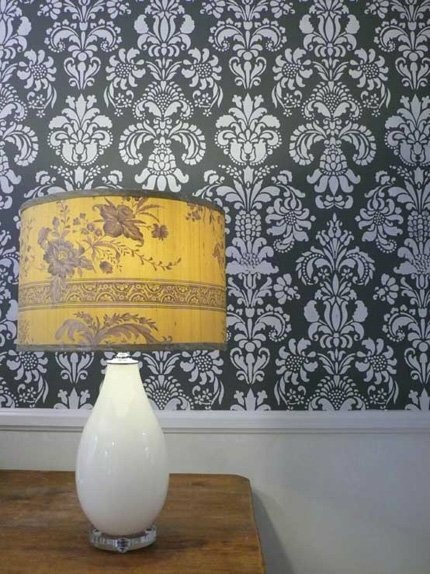 i absolutely adore all of the Damask stencils! i would go nuts painting my entire house!!! i like royal design studio on fb! I love the Moorish Trellis large stencil! I love the marrakesh stencil as well as the all over zebra!! I love these! 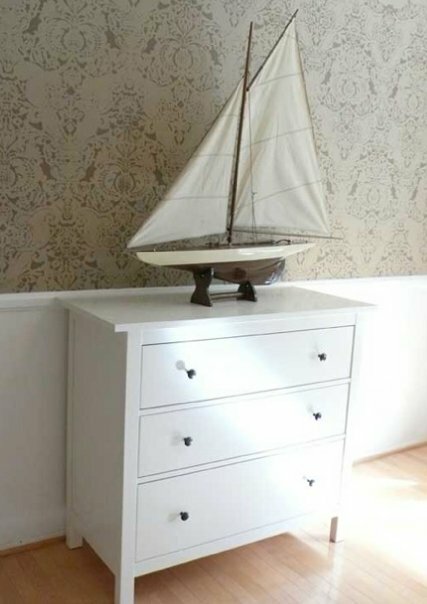 I do hope I win because I have been wanting to stencil my bedroom and/or my living room since we moved in 4 years ago!!! I'm torn between Lisboa Tile Allover and Arabesque Allover. Very elegant blog. I have many Royal Design Studio Stencils but would like to have the small fancy peacock feather stencil for myself. Thank you for making this a possiblity. My favorite is the Casablanca trellis. I would love to try it in my entry closet. Thanks for the giveaway! I love the Moroccan Geometry stencil! Oh, the fun I could have with that! I follow Royal design on pinterest! One of my favorite stencils is the Casablanca trellis. LOVE them all...but i think the casablanca trellis is my favorite! My daughter loves Rockin Rose! I follow Royal design on fb, thanks for the giveaway! I would love to win the ribbon latice stencil. thanks for contest! I love their Damask stencils! I would use it for my bedroom...beautiful! Thanks for the chance to win!! Lisboa allover stencil, Skylars lace, Kimono Stencils: Cherry Blossom, Small Hollywood Squares, Endless Cirlces Lattice (which reminds me of the cathedral quilt I am currently making), and Large Japanese Hydrangea. I think that if I had to choose one of these it would be the Lisboa, cause it feels the most versatile to furniture, floor, carpet or walls. I am just so happy to have found a stencil house! yay! good luck everyone! Loving the large Entwined Trellis! I have just the wall for it. Oh man am I drooling over the Springtime in Paris stencil! I would choose the Camel Bone Weave stencil for my master bedroom!!! liked royal design studios on facebook. love the Springtime in Paris stencil! Wow! My favorite is Circling Allover and the 1/2" Checks from Nature’s Harvest collection is another favorite! The checks would be perfect for a cupboard I've been wanting to decorate in a MacKenzie Childs-inspired design. Great giveaway!